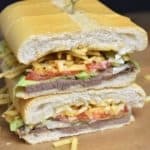 Pan con Bistec is a Cuban-style steak sandwich. They can be found in cafeterias and restaurants all over Miami, and they’re delicious. Pan con bistec are simple to make at home too. Season thin steaks and fry them up, just a couple minutes per side. Then sauté thin sliced onions and build the sandwiches. Press them on sandwich press (a panini press works too) and you’re all set! Don’t worry if you can’t find Cuban bread where you live, a loaf of Italian or even a baguette will make suitable substitutions. 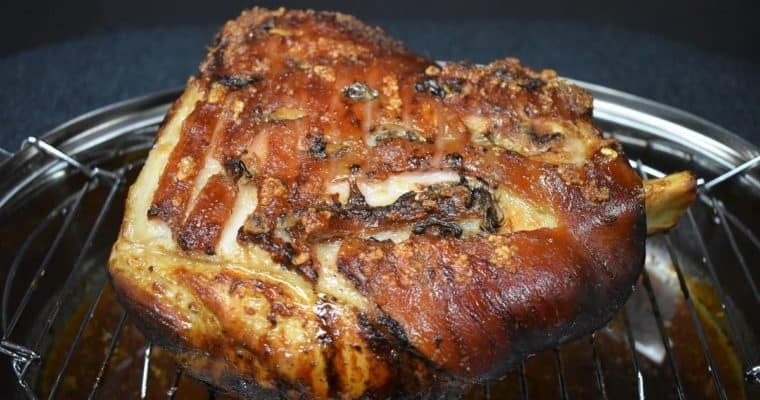 If you enjoy this sandwich make sure to try the classic Cuban Sandwich; made super easy in this recipe. Enjoy! Combine the salt, garlic powder, oregano, cumin and black pepper in a small bowl. Season the steaks on both sides with the seasoning mix. Heat 2 tbsp. of oil in a large (very large) skillet over medium-high heat. When the oil is very hot, almost smoking, add as many steaks that will fit in the skillet without overcrowding. I had to do two at a time. Cook the steaks about 2-3 minutes per side, until they’re golden brown and cooked through. They will be done really fast. Take the skillet off the heat, remove the steaks to a plate or pan and keep warm. I like to place the pan in the microwave or oven, the steaks will stay warm away from drafts. Tenting, or loosely covering the steaks with a piece of aluminum foil will also keep them warm. Repeat with the remaining steaks. Note: It may be necessary to add another tablespoon of oil to cook the second batch of steaks. When the remaining batch of steaks is done, remove the skillet from the heat and place the steaks on the same plate or pan and keep warm. Do not wash the skillet, return it to medium-low heat and add the sliced onions. Cook the onions, stirring frequently, for 3-5 minutes until they start to soften, stirring frequently. Remove the skillet from the heat and set aside. Cut the loaves of bread to make 4 large pieces. Then open each piece by slicing it in half lengthwise. Add one steak and a quarter of the onions to the bottom half of the bread piece. Then add the mayonnaise, lettuce and tomato slices, if using. Add a generous amount of potato sticks and cover with the top piece. Gently, press the pan con bistec for a few minutes until the bread is toasty and starting to flatten out. If desired, brush a little bit of butter on the bread top prior to pressing to get a pretty sheen. 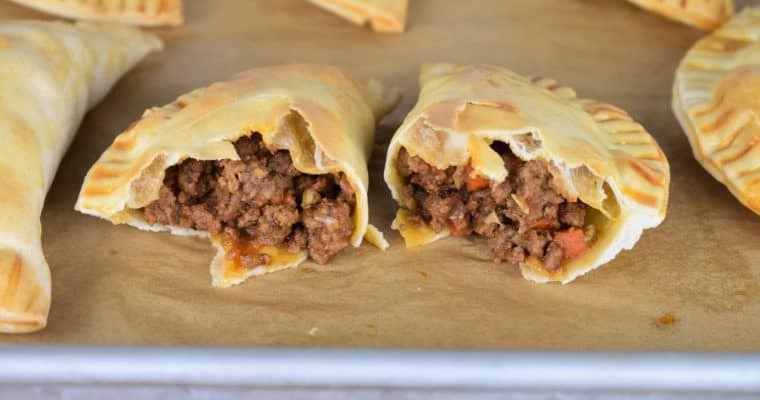 Cut the pan con bistec in half at an angle, serve and enjoy! If you can’t find Cuban bread where you live, use Italian bread. Potato Sticks are very similar to potato chips, except they’re stick shaped and the texture is a little different. Find them in the potato chip aisle of the supermarket. They come in a bag or a can and there are several brands. If you’re having trouble finding potato sticks, use crumbled ridged potato chips (like Ruffles) as a substitute; they taste very similar. 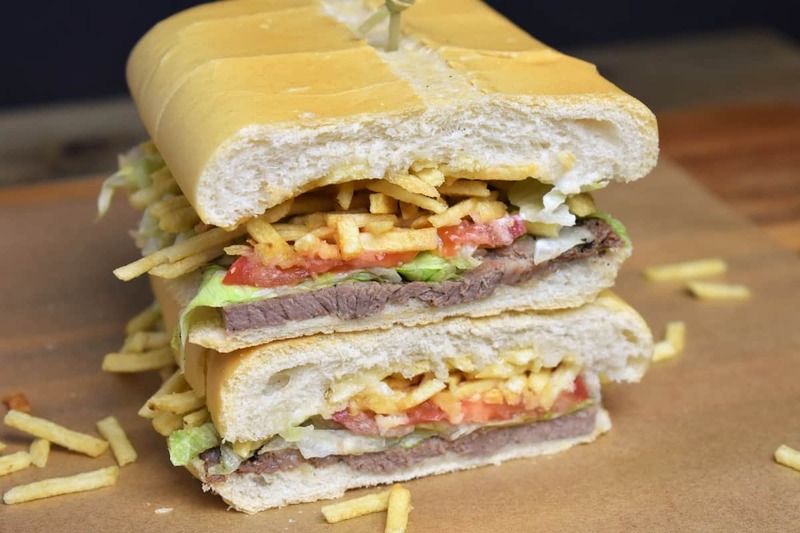 On a pan con bistec, the lettuce, tomato and mayonnaise are purely a matter of preference, the debate rages on, but we don’t argue here, if you want mayo, lettuce and tomatoes on your pan con bistec, add it in. If you don’t, leave them out. No biggie, the potato sticks on the other hand – mandatory! If you’re cutting down on red meat, or just prefer chicken try this Cuban Chicken Sandwich – it’s just as delicious! Heat 2 tbsp. of oil in a large (very large) skillet over medium-high heat. When the oil is very hot, almost smoking, add as many steaks that will fit in the skillet without overcrowding. Cook the steaks about 2-3 minutes per side, until they’re golden brown and cooked through. Take the skillet off the heat, remove the steaks to a plate or pan and keep warm. Repeat with the remaining steaks. Note: It may be necessary to add another tablespoon of oil to cook the second batch of steaks.